You are here: Virgin Islands News Online » News » Another taxpayers trip by 'lame duck' Premier, what was accomplished? Another taxpayers trip by 'lame duck' Premier, what was accomplished? ROAD TOWN, Tortola, VI - Outgoing and 'lame duck' Premier of the Virgin Islands (VI), Dr. the Honourable D. Orlando Smith (AL), has concluded yet another overseas trip on taxpayers money on his last days in office. This time, it was to London, to attend the 20th Joint Ministerial Council (JMC) meeting, alongside other Leaders of UK Overseas Territories (OTs) from December 3 to 6, 2018. According to a Government Information Services (GIS) press release, “the Premier promoted the interests of the BVI and its valuable role in the global economy,” however, it did not give any specifics as to how those interests were promoted, nor what was accomplished. The GIS press release named a laundry list of meetings, however, it remains unclear what the Territory has gained from the trip. 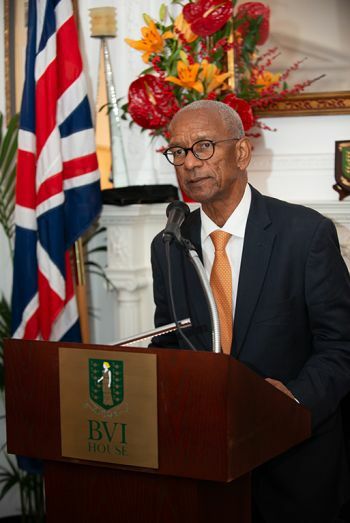 “With regards to education, the BVI has received an invitation to the Education World Forum in January 2019 with further commitments to better connect UK-BVI classrooms for global learning opportunities,” the GIS release noted. It said the UK Government has agreed to support disaster preparedness across the OTs and will host an annual meeting in May of each year, before the hurricane season, to assess plans. 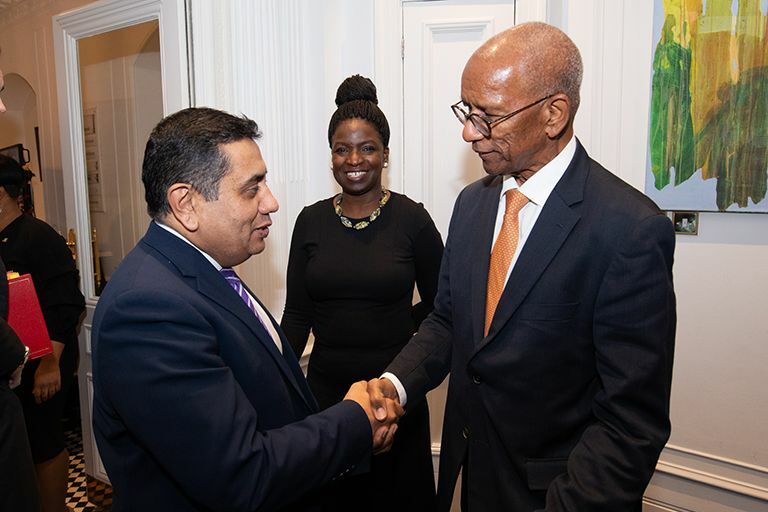 Lord Ahmad also commended the Premier for establishing the Recovery and Development Agency in the BVI. The UK Government reinforced its position that it was committed to ensuring the best outcome for the OTs in terms of the UK’s withdrawal from the EU, and committed that any concerns around EU funding would be included as part of the UK’s post-Brexit funding review, according to the release. 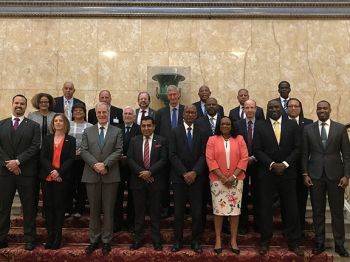 The UK agreed to maintain dialogue on constitutional reform and acknowledged the need to expand international partnerships and inclusiveness. 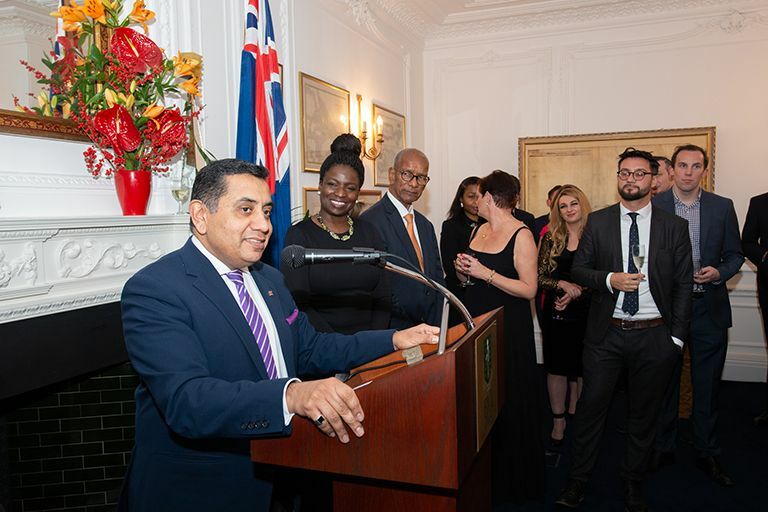 For instance, the UK Government is encouraging greater participation and integration from the OTs in its ‘GREAT’ campaign which promotes international trade and business. 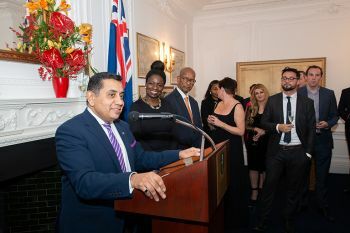 “This includes an open invitation to the BVI to take part in trade missions and the opportunity to promote the BVI’s services”, the press release said. The Premier will demit office in the next few months following a general election that must be held by April 16, 2019. Currently, Dr. Smith’s ruling National Democratic Party (NDP), has split in two, with NDP1—headed by Hon Myron V. Walwyn (AL) the Education and Culture Minister—and NDP 2,—headed by fired Minister Hon Ronnie W. Skelton (AL)—now called the Progressive Virgin Islands Movement (PVIM). Ask your mommy if she is going with him. Doc still love this Country and its people and continue to try to make it better . Its his selfish . Greedy .know it all Ministers that failed him badly .now they are trying to run away leaving him to take all the blame but he is such of an honorable man with excellent character he hasn't said a bad word about any of them ..Thought they disappointed him and the country . That's a good man with class . Let him be ..
You can tell a lot about a person by the company they choose. @ Love of Country. I believe he more so trying to see how best he can put back our $7.2 million dollars in the treasury before he leave. Leaving without putting that money back can be very detrimental for him. I have to say I admire VINO for always being “on the ball” with the news; and yes we all have reasons to dislike there present administration for the way they do things n wasted our the taxpayers monies and no accounatability for projects monies spent. etc but this heading calling the Premier “lame duck” premier to me is very DISRESPECTFUL. We all have a right to our opinions and freedom of speech but one should never forget Dr. smith’s contribution to our country in the capacity of a physician and life is strange one of us may need that same Dr. One day. an ineffectual or unsuccessful person or thing. "most of her boyfriends have been lame ducks"
a politician or administration in the final period of office, after the election of a successor.